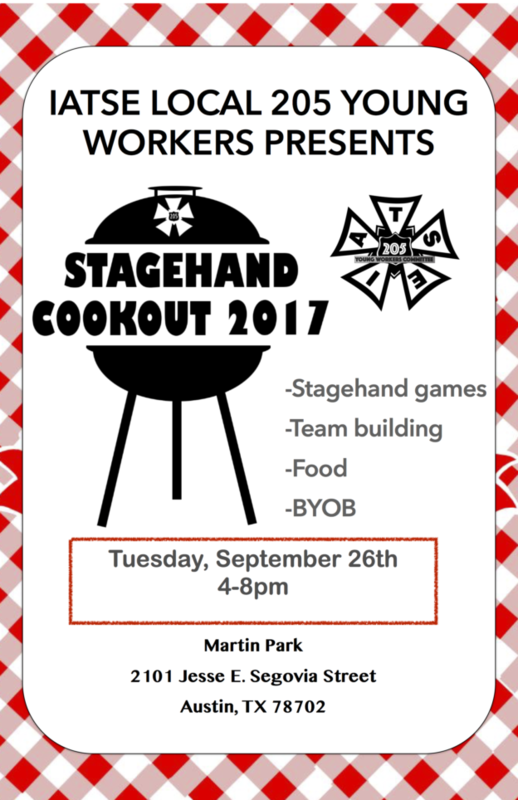 Local 205 Young Workers Committee is hosting our 3rd Annual Stagehand Cookout next week! 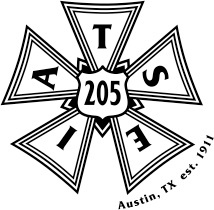 All Austin area stagehands welcome, regardless of union affiliation. Also note, as with almost all young worker hosted events, you do not have to be a “young worker” to attend. Due to rain and a forecast for thunderstorms, tonight’s Austin Stagehand Cookout hosted is MOVING LOCATION from Martin Park to IBEW #520 Union Hall, 4818 E. Ben White Blvd., Austin, TX. 78741. Bring yourselves, your fellow Austin area stagehands, members and non-members alike, and your families! It sounds like there will be T-Shirts again this year. Some will be available as prizes in the games, but if you want one be sure to bring a little cash to purchase. For information about coordinating items to bring and or volunteering to help setup and tear down, please see the facebook event for the most current information. This entry was posted in 205 News, Events, News and tagged 2017, cookout, event, family-friendly, food, fun, games, gathering, meetup, party on 09/21/2017 by 205admin.